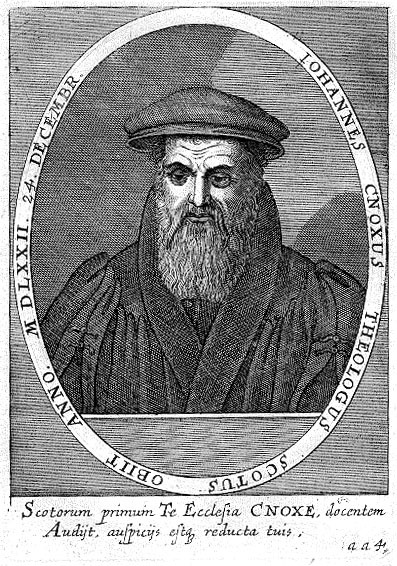 1514 – Probable date of birth of John Knox. 1536 – Knox is ordained as a priest. 1542 – James V dies and is succeeded by his daughter, Mary Queen of Scots. James V dies and his successor is his first daughter, Mary, who becomes Mary Queen of Scots. The Stuarts were known for being Catholics, and that is partially why Henry VIII didn’t wish for the succession to pass to the children of his sister Margaret (the mother of James V). Mary was only a year old when she succeeded to the throne and at one point there were plans to marry her to the future Edward VI of England. 1543 – Knox converts to Protestantism. 1545 – Knox becomes an associate and bodyguard to George Wishart. 1546 – Wishart is executed / martyred. George Wishart was a Scottish religious reformer. He was initially investigated for heresy by the Bishop of Brechin in 1538. He fled to England only to be accused of heresy by Thomas Cromwell in 1539. He preached, denouncing the Papacy, and the abuses of the church. In 1543 he returned to Scotland. He was burnt at the stake on 1st March 1546 at St Andrews. 1547 – Knox preaches his first Protestant sermon; he is then imprisoned in France as a slave for nineteen months. 1549 – Knox begins pasturing in Berwick, England, and earns his reputation as a preacher. 1552 – Knox moves to London and disputes the practice of kneeling at Communion; he refuses to become Bishop of Rochester. 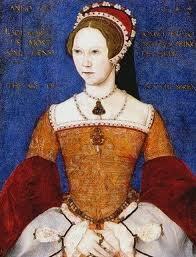 Mary I 1544 by Master John. 1553 – Mary I becomes Queen and Knox flees the country to France. 1555 – Knox flees to Geneva then returns to Scotland secretly, and marries; does missionary work. 1556 – Knox is accused of heresy in Scotland and so returns to Geneva. The First Blast of the Trumpet Against the Monstrous Regiment of Women was published in 1558. It sees women’s rule as unnatural. It was written in Geneva against the rule of monarchs like Marie de Guise, Mary Queen of Scots and Mary I of England. Knox is against Catholic Queens in particular, but uses it against female rule in general. His ideas backfired when Elizabeth I succeeded. Although Elizabeth was a supporter of the Protestant cause, she took offence at his speech about female monarchs and this was at least a part of the reason why he stopped interfering in English religious affairs after 1559. 1559 – Knox returns to Scotland and preaches a sermon against idolatry which leads to a rebellion. When Marie de Guise died in 1560, the Protestant nobility could secure the English recognition of Scottish independence. The Scots Confession was when the clergy were asked to frame a confession of faith and in 1560 the document was ratified. It sees the major points as: preaching the word of God, administration of the sacraments, and ecclesiastical discipline. 1561 – Knox helps to write First Book of Discipline; Mary Queen of Scots returns from France hoping to practise her Catholic faith in a Protestant country. 1566 – Knox writes much of the History of the Reformation of Religion in Scotland. 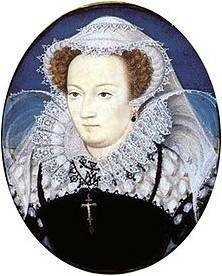 Queen Mary in captivity, by Nicholas Hilliard, c. 1578. 1567 – The execution of Mary Queen of Scots by Elizabeth I of England; James VI is crowned king in Scotland. 1571 – Mary Stuart is suspected to have taken part in the Ridolfi plot in England, which intended to assassinate Elizabeth I and replace her with Mary Stuart. Tulcan bishops were titular bishops who were appointed with the understanding that they were to hand over a portion of the revenue to the patron, rather than to the Church itself, like the Catholic bishops did. It came from the concordat in the Assembly of Leith (1572). 1573 – The final Catholic stronghold in Scotland, Edinburgh Castle, held by William Kirkcaldy in Mary Stuart’s name, was defeated, with English help. The King’s Confession was a covenant signed by the King and the people in Scotland. It was made because the people were worried about the influence of Roman Catholicism on James VI. It was also known as the Negative Confession. It was written by John Craig, suggested at the request of the king himself. The people promised that they would live by the true religion, not Roman Catholicism. 1584 – The Black Acts confirmed the Presbyterians, confirmed the power of the bishops, and said that the king had power over all things. 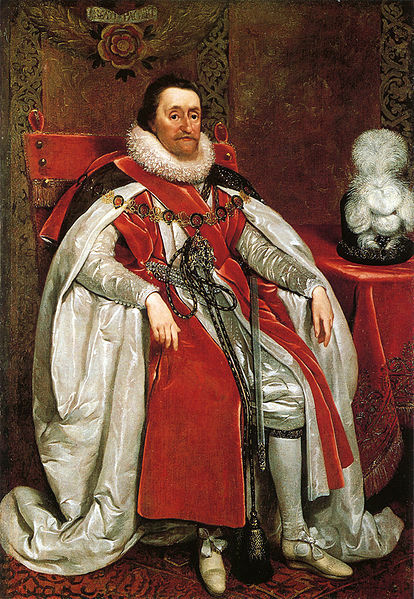 1603 – James VI of Scotland also becomes James I of England. The Five Articles of Perth were: kneeling rather than sitting at the Lord’s Supper, private communion, confirmation by bishops, observance of holy days like Christmas and Easter, and baptism issued as babies, and quickly. 1625 – Charles I became king of England and Scotland and took measures against anyone who didn’t accept the Episcopalian government or worship of the Church of England. U have a awesome website over here. I just wanna say thanks for all the interesting information on it. I’ll follow your weblog if you keep up the good work!